Going out brings out the inner bad b*tch in me ? I want to go out, have fun and lose total control and to successfully do that, I have to feel and look like a bad b*tch. This outfit is perfect for one of those nights! It fully encompasses how I want to feel, it’s simple enough to style together and edgy enough to turn heads. Want the details? ? I have so many ways of describing my style of dress. 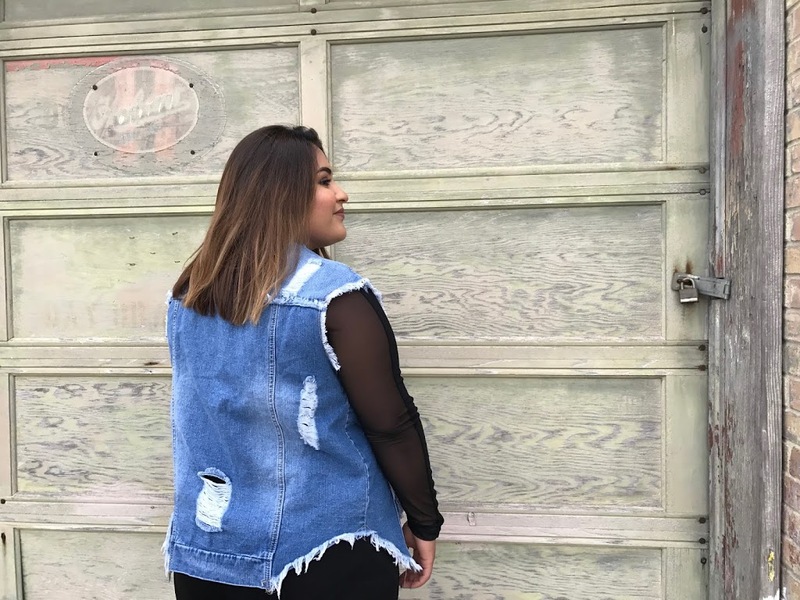 Rebellious, distressed, and edgy all come to mind when I’m searching for the perfect piece to make a statement, and this denim vest completely showcases all of that. 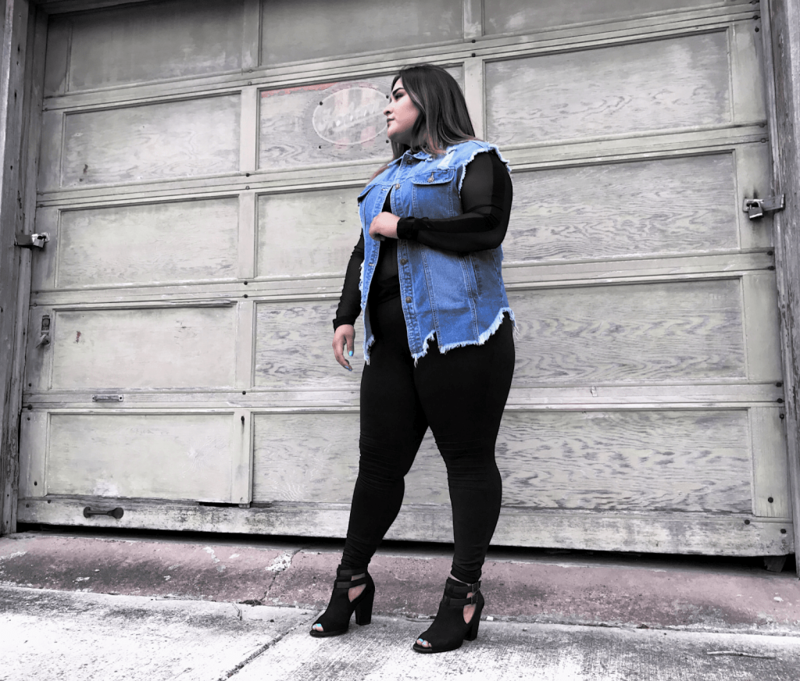 Everyone has to have at least one denim vest in their closet and that vest has to be this one! Luckily New Concept Boutique ships to you so if you are not in the Brownsville area, you can still get your hands on this beauty ? These leggings are made out of rayon which is breathable material. These leggings won’t get you all hot and sweaty once the alcohol starts setting in. These black booties are the ultimate must have shoe! They’re fierce, which makes any outfit 10x better, the heel is at a comfortable 3.34 inches, and the black allows you to pair them with anything. I’ve been feeling this outfit all week and I had to share it with you all. What’s your “bad girl” outfit?